Raymond C. Conatser, Jr. “Ray”- passed away on Monday, January 22, 2018 at the age of 93. Ray was born and raised in Ozark, Arkansas. He served in the United States Navy for three years on the U.S.S. OTUS. Ray graduated from Stanford University. He taught and counseled in Corning and Sunnyvale, CA. Ray was a school psychologist in San Bernardino, CA and Nashville, TN for over 30 years. He was a lifelong humanitarian and civic leader. 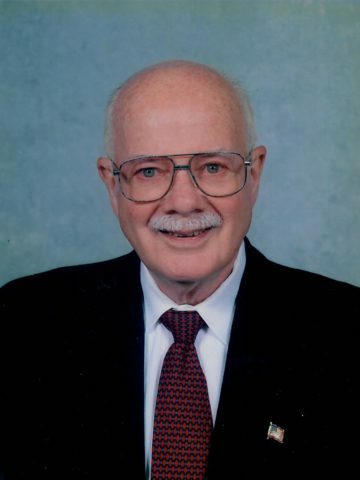 He was a member of many organizations and committees including the AAUW, Nashville Peace and Justice Center, the Order of St. Luke, the Wilsonian Club and the United Nations Association. Ray ran for State Assemblyman in California. He was an active member of St. Paul’s United Methodist Church in San Bernardino, CA and Calvary United Methodist Church in Nashville, TN. Ray was preceded in death by his wife of 53 years, Lella (Lu) M. Conatser; his sister, Rebecca Kimbrough of Arkansas; his brothers, Benham Dangers and Thomas Dangers of Arkansas and brother Freddie Dangers of California. Ray is survived by his daughters, Judith A. (Lal) Mian of Highland, CA and Carol A. (Lee) Wright of San Bernardino, CA; son, John C. Conatser of Crestline, CA; grandsons, Benjamin A. Wright, David S. Mian and Adam S. Mian; granddaughters, Zoey and Destiny; and a great-granddaughter. He was a beloved uncle to five nieces and four nephews. In lieu of flowers, memorial contributions could be made to Africa University, Room in the Inn or Calvary United Methodist Church. Visitation will be 10-11 a.m. on Tuesday, January 30, 2018 at Calvary United Methodist Church, 3701 Hillsboro Pike, Nashville, TN 37215. A Celebration of Life Service will be at 11 a.m. on Tuesday at the church. Graveside service will be at 1 p.m. on Tuesday at Harpeth Hills Memory Gardens. 3 Comments to Raymond Charles Conatser, Jr.
You had such a nice father, I have many good memories and conversations with Ray, along with your mom too. I remember the birthday parties, picnics, and just sitting in your living room talking to Ray about politics and current events. I saw him protesting down by Norton Air Force Base, dressed very nicely. He is now in heaven with his wife and family having a great reunion! Hope you are all well, my sympathies to all of you. Members of the Nashville Peace and Justice community remember Ray Conaster with fondness and respect. He will be greatly missed. Our condolences and sympathy go out to all of his family and friends.